Most people under 21 won't be able to buy guns in California starting next year under a law Gov. Jerry Brown signed on Friday. It will prevent people under 21 from buying rifles and other types of guns. 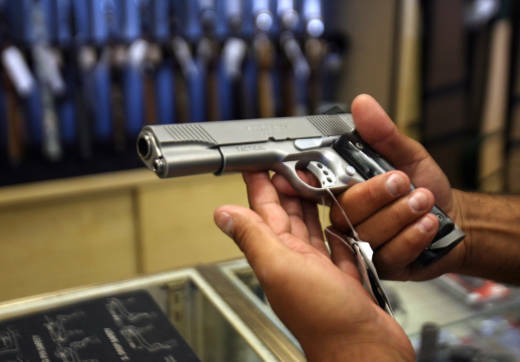 State law already bans people under 21 from buying handguns. The new law exempts law enforcement, members of the military and people with hunting licenses from the restriction. Democratic Sen. Anthony Portantino (D-San Fernando) pointed to the shooting at a Florida high school earlier this year that killed 17 people as the reason for his bill banning gun sales and transfers to people under 21. Brown also signed two other bills Friday restricting firearm access. One prohibits gun ownership for people who have been hospitalized or otherwise placed on an involuntary psychiatric hold for risk of hurting themselves or others twice in one year. That law would let those people ask a court every five years to return their guns. The other bans gun ownership for people with certain domestic violence misdemeanors. But Brown vetoed a bill co-authored by San Francisco Democratic state Sens. Scott Wiener and Phil Ting that would've banned the buying and selling of guns at the Cow Palace in Daly City, which currently holds five gun shows a year. "The decision on what kind of shows occur at the Cow Palace rests with the local board of directors which, incidentally, represents a broad cross section of the community," Brown wrote in his veto message. "They are in the best position to make these decisions." The Cow Palace is run by the California Department of Food and Agriculture and therefore falls under state jurisdiction, as opposed to that of San Mateo County or Daly City. It is governed by a board of directors with members representing surrounding communities. "We have an epidemic of gun murders, including many of children, and we must reduce the number of guns in our communities," Wiener said in a statement, in which he signaled his intention to reintroduce the legislation next year. "We don't need gun shows in the heart of the Bay Area." Brown also noted in his veto message that this was the third time in the last 10 years that a similar bill has been vetoed — once by Brown and once by Gov. Arnold Schwarzenegger. This iteration of the bill was introduced after 10 people were killed and 13 wounded at a shooting at a Texas high school in May. At a Cow Palace gun show held in April brought out protests organized by local high school students, moved to action by the school shooting in Parkland, Florida in February. The continuing operation of the shows, according to David Gales, a student at Lick-Wilmerding High School who organized the protest, "means that a very minor demographic of the population is being represented over the voice of the majority." Reporting from KQED's Ryan Levi, Guy Marzorati and Don Clyde, and the Associated Press' Sophia Bollag contributed to this story.